Gagarin Kongress was an one-off project by Edgar Domin and Udo Heitfeld, the latter also known as TV Victor. 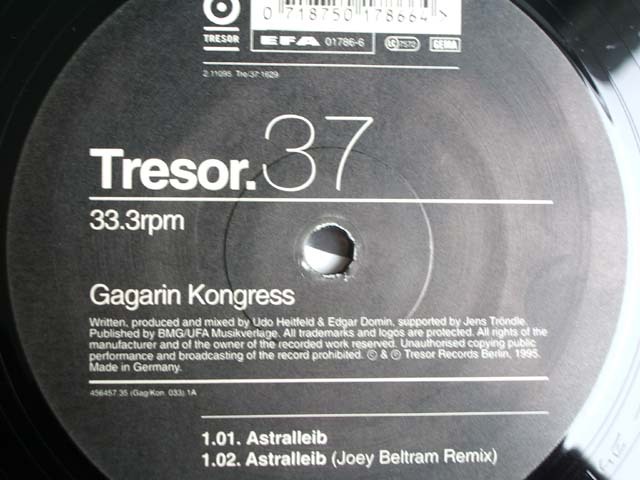 It was Tresor’s “Sirius” compilation where I found the original of the 1995 track “Astralleib”, a polyrhythmic angular piece positioned between the main floor and leftfield. But the real revelation came when Joey Beltram turned the original upside down with a high-octane remix, providing heavy fuel for all techno engines. The version by The Moon And The Sun kept a delicate stance and for the end breakbeats entered the stage in “Klapperstück”.